SUMMERFIELD – Stunning, white brick, stone & stucco 4Br 4.5Ba on peaceful cul-de-sac. Open floor plan w/vaulted ceilings on main & 2nd. Light colored maple hardwoods in LR, DR, den, kitchen. Master on main w/large his & hers WICs. Top of the range European designer lighting fixtures throughout. High end granite countertops in kitchen, Mba, & wet bar. 5 burner gas cooktop. 3 full suites upstairs. Serene wooded back & patio w/lots of privacy. 10-zone sprinkler system, timer controlled outdoor lighting. Directions: From Greensboro, North on Hwy 220. Right on Hwy 150. Right into The Vineyards on Toscana Trace. Left on Agliano Terrace. Please, send me more information on this property: MLS# 912185 – $644,500 – 4313 Agliano Terrace, Summerfield, NC 27358. 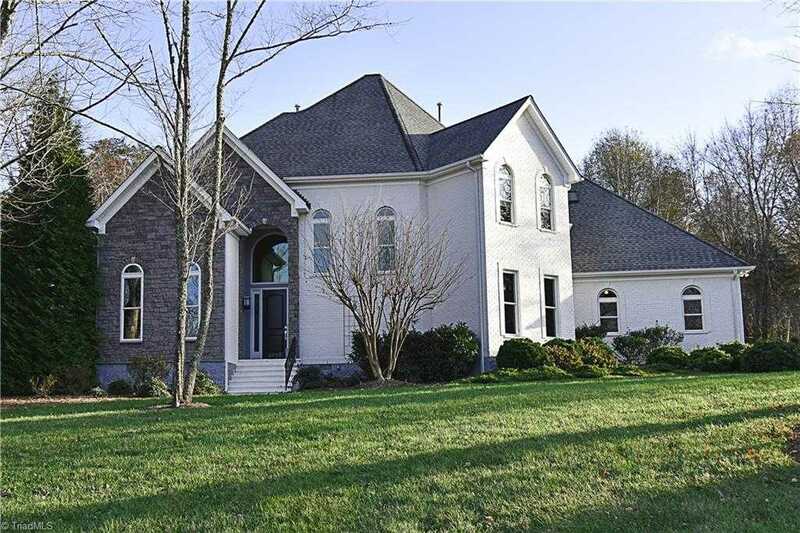 I would like to schedule a private showing for this property: MLS# 912185 – $644,500 – 4313 Agliano Terrace, Summerfield, NC 27358.